The manuscripts collection is particularly strong in the areas described below. 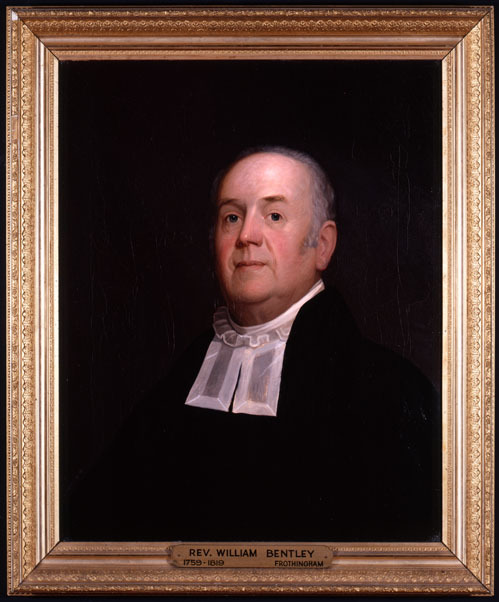 Isaiah Thomas' acquisition of the Mather library from Hannah Mather Crocker in 1814 marked the beginning of the Society's commitment to preserving the papers of prominent early New Englanders. This library contained the manuscripts of Richard, Increase, Cotton, and a number of "minor Mathers"; also present were papers of such other notables as the three Thomas Shepards. From that time onward, much other early material has come to the Society. The Society's extensive collection of diaries offers opportunities for insight into the lives and thoughts of seventeenth-, eighteenth-, and nineteenth-century New Englanders. Some of these diaries span a great number of years and volumes, making them of particular interest. Massachusetts diarists include the early New England divines Increase Mather and his son Cotton Mather; silhouette artist Ruth Henshaw Bascom; Salem, Mass. minister William Bentley; teacher and housewife Susan E. Forbes; Westborough, Mass. minister Ebenezer Parkman; printer and AAS founder Isaiah Thomas; and teacher and housewife Caroline Barrett White. 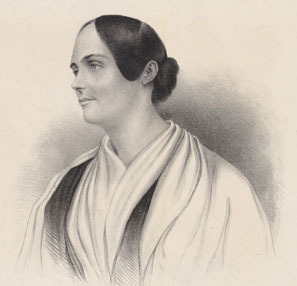 There are also diaries of a number of children and young adults, such as Louisa Jane Trumbull, James Ferdinand Fiske, Edmund Quincy Sewall Jr., and the student journals of two young women attending Margaret Fuller's Greene Street school, Mary Ware Allen and Hannah Gale. 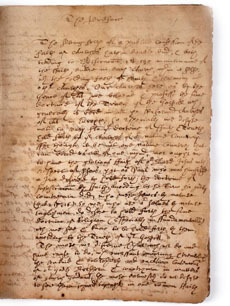 Virtually all phases of Central Massachusetts history are covered by the Society's manuscript collections, as well as all themes of Massachusetts life. Resources on personal, family, religious, business, political, social educational, early industrial and military life are all available. Included among the Society's substantial holdings of family papers are those of the Brown family of Worcester, an African American family; the Chandler-Ward families of Petersham and Lancaster, the Dewey-Bliss families of Worcester, Williamstown, Northampton, and Royalston; the Parkman family of Westborough, three generations of Worcester Salisburys, the Wards of Shrewsbury, and the Waters family of Millbury. Isaiah Thomas' gift of his own papers initiated the Society's acquisition of book trade manuscripts, and today the early American book trades continue to be a central focus of all of the AAS collections. Today, the manuscripts department holds much material valuable for the study of the history of the book in America. Through the years, large and small collections of records of publishing businesses have been acquired, including those of Mathew Carey, Copeland & Day, D.C. Heath, G. & C. Merriam Company, Lee & Shepard, McCarty and Davis, and West, Richardson, & Lord. Booksellers' records, such as those of William Cobbett, Jeremiah Condy, and the Boston Booksellers Association, are also at AAS, as are records of bookbinders like William Merriam, printing press manufacturers such as R. Hoe and Co., and paper manufacturers such as Tileston and Hollingsworth. AAS has records not only of its own library, but also of other library associations such as the South Gardner, Mass. Library Association, the Worcester County Atheneum, the Washington County, N.Y. Farmers and Mechanicks Library, and the Westfield, Indiana Monthly Meeting Library. Related manuscript collections include the Book Trades Collection and the Newspaper and Periodical Receipts Collection. There is manuscript material at the Society valuable for research in other areas as well. There are several collections of manuscript music, strengthened by an accession received in 1983 from Mrs. Irving Lowens. The preeminent collections of James Fenimore Cooper's printed works at AAS are complemented by eight boxes of his papers received in 1990 from the estate of Paul Fenimore Cooper Jr. Included are literary manuscripts, business and legal papers, and correspondence with family, friends, and publishers. AAS also has a large archive of research material on Cooper compiled by James Franklin Beard Jr.
From the outset, the Society was concerned with every aspect of America's history, and archaeology was a major interest of early members. Although the artifacts that accumulated during the nineteenth century have long since been transferred to other institutions, several manuscript collections (and the Society's own archives) reflect this interest in archaeology. Approximately three hundred scrapbooks, most dating from the second half of the nineteenth century, contain material gathered on a wide variety of subjects. Notable are scrapbooks of publisher Joel Munsell, temperance lecturer John Bartholomew Gough, and publisher Clarence Winthrop Bowen. Additionally, a number of volumes deal with the theater in Boston and Worcester. Finally, there is a Miscellaneous Manuscripts collection. Arranged alphabetically by personal name or place name, it consists, for the most part, of single items by a wide variety of individuals, businesses, and organizations. Occasionally there are several items by one person, but not enough to warrant making a separate collection. An alphabetical checklist in the library provides access to these manuscripts.